It’s been said that the Three Gorges served as the main reason why people journeyed to Chongqing. A crucial visit on any China itinerary, Chongqing is either the start or end for most people wanting to journey along the Yangtze River to experience the scenic and historic Three Gorges area. 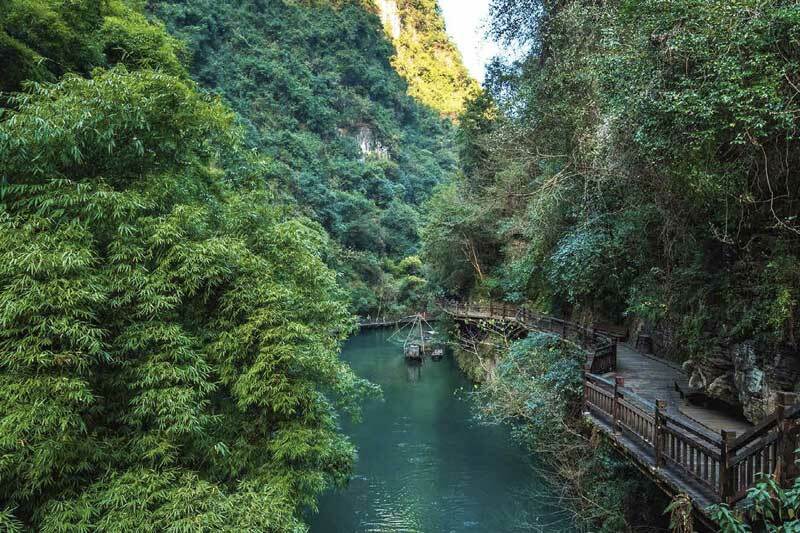 Itineraries include sailing down the Yangtze from Chongqing to Yichang so that you can take in the scenery while passing through the lush valley between mountains. Temples and river towns dot the vast landscape with their stories told to all spectators. The Qutang Gorge is famous for its magnificence and the gateway to the mighty Yangtze, Wu Gorge takes on a quieter beauty while Xiling Gorge held a past reputation as the most dangerous gorge for its treacherous shoals. Tickets (about Y100 for an hour) can be purchased at each dock. Travellers can stop over anywhere along the way.